Next morning we woke up to a lovely view across the farmlands at Gladhammar. We set off to nearby Västervik stopping first at the railway station. 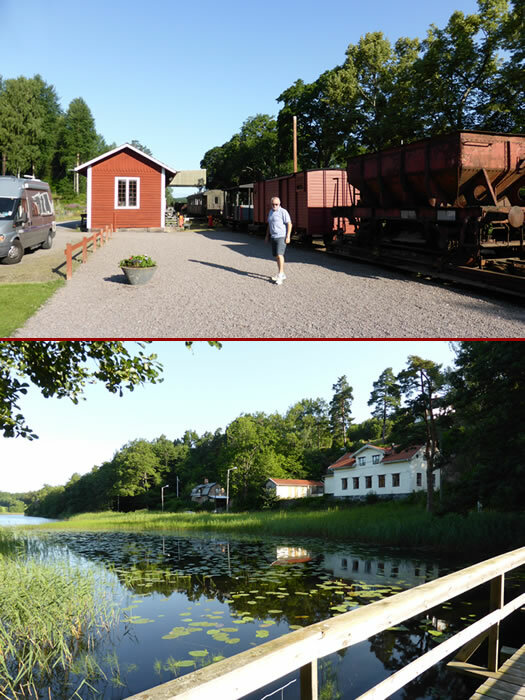 They have a 70km long, narrow gauge railway between Hultsfred and Västervik. It is only 891mm wide which is quite unusual.